A floor cleaner that is kind to the environment providing excellent floor care with protection against staining. It leaves no residue of unnecessary chemicals, resulting in a clean, hygienic surface for your baby to practice their crawling skills! This product can only be used on untreated natural floors such as marble, concrete and linoleum. Please note that it is not suitable for polished, varnished, sealed, waxed or laminate flooring. 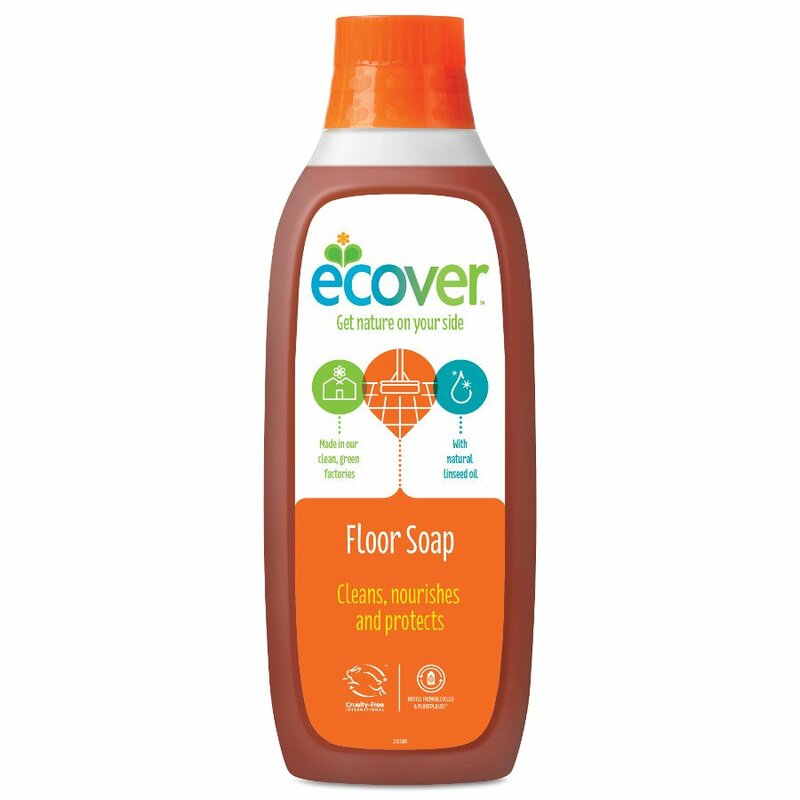 The Ecover Floor Cleaner - 1 litre product ethics are indicated below. To learn more about these product ethics and to see related products, follow the links below. I find product excellent for floor cleaning. It is economical too. It covers the floors well and they come up very clean. Would recommend the product to others. Thank you for prompt and trouble free service. Q: can this be used on vinyl flooring? A: Ecover states that this Floor Cleaner can only be used on un-treated natural flooring such as marble, concrete or linoleum. It should not to be used on varnished, sealed, waxed, or polished flooring, and is not suitable for laminate. I hope this helps. Jo. 6 out of 20 found this question and answer helpful.